In the United States, there has been an increase in pedestrian accidents as evident by 2017 preliminary data available on Governors Highway Safety Association’s website. It also shows that in 2016 alone, 5,987 people became a victim of pedestrian accidents, accounting for 16% of total traffic accident fatalities. There can be multiple reasons that lead to a pedestrian accident such as distracted driving such as mobile phone usage, driving under influence, improper lane usage, left-hand turns, unmarked crossroads or improper lightening, to name a few. Depending on the circumstances, a pedestrian who sustains an injury due to the negligence of someone else may be entitled to obtain damages for their pain and sufferings. How to Prove Negligence In Pedestrian Accident? Defendant owed a legal duty of care to the plaintiff. Defendant breached that duty through their action or inaction. Defendant caused an accident involving the plaintiff. 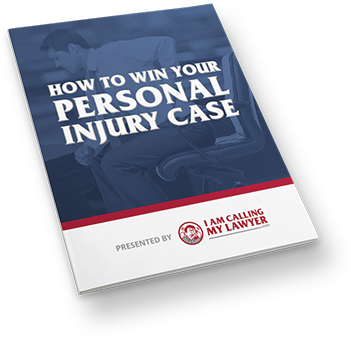 The accident caused by defendant caused injuries to the plaintiff. The negligent driver of the vehicle who caused an accident. Parties responsible for maintaining the area where the incident occurred. How Can an Auto Accident Lawyer Help You To Prove Negligence? If you have become a victim of a pedestrian accident and wish to initiate legal proceedings against the negligent party, procuring services of an experienced auto accident lawyer can be invaluable for your case. Using their vast experience and knowledge pertaining to laws and regulations that are relevant to your case, your auto accident lawyer will help you to establish all four points required to prove negligence, allowing you to obtain the rightful compensation for your damages. Furthermore, a seasoned auto accident lawyer will also help you calculate the amount of compensation, enabling you to substantiate your claim and seek maximum compensation for your pain and sufferings.